After 22 years (since their first release) and 13 studio albums later, what could I possibly say about the new Paradise Lost album, Tragic Idol? For starters it is as obscure and bursting with as much impending doom as their earliest work. Not so much on the gothic side of the genre, but more on the doom metal side. 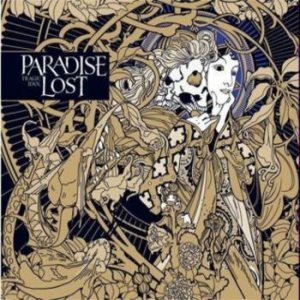 Continuing on with their latest trend (three albums or so), Paradise Lost have again harnessed despondency from the doom gods and created some of the heaviest music of their career. Yet, they still add melancholic melodies that define the genre they helped expand so many years ago. The new album is more or less a continuation of where Faith Divides Us – Death Unites Us left off, however, taking their dejection even further away from the synthesized melodies they have used in the past. Tragic Idol is stripped down metal with no filler!